About Us | Keating, Bucklin & McCormack, Inc.
KBM was founded on these principles to compliment the clients we serve. We have worked for over four decades to serve and defend our public and private clients on the legal battlefield. Do you want a top-ranked highly successful law firm on your team? Then we are your firm. 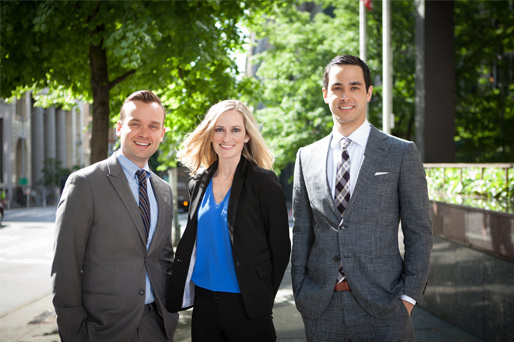 Many of our attorneys began their litigation careers as city and county prosecutors, Washington State Assistant Attorney Generals, and trial attorneys with the U.S. Marine Judge Advocate General’s Corps and the U.S. Army Judge Advocate General’s Corps. Year after year we try cases in state and federal courts and deliver for our clients. We relish advocating for our clients – and we are determined to get you the results you want using innovative litigation avoidance strategies, cost effective techniques, and cutting edge trial advocacy.